Athletes line up for the practice round at the 2017 Elks Hoop Shoot Free Throw Contest. The local round of the nationwide event takes place Dec. 8 at Sandrock Elementary School. Get your game in gear, and you could go down in history. Elks Lodge No. 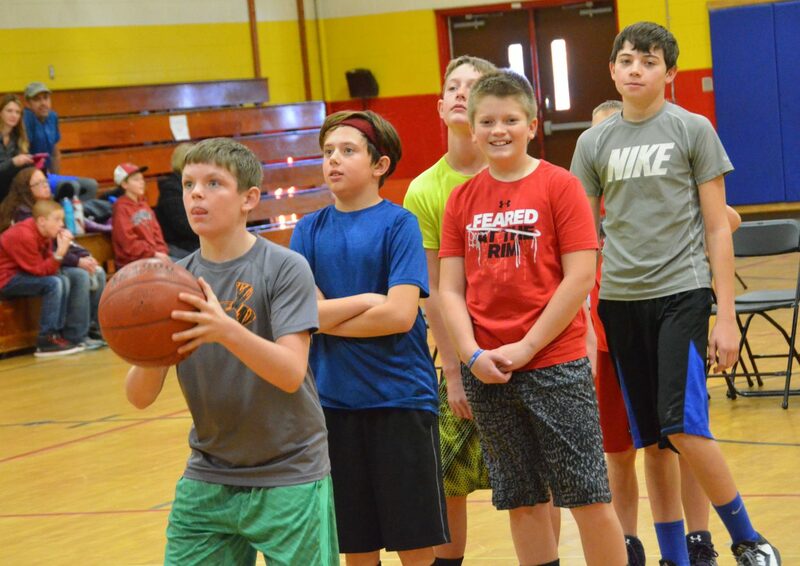 1577 will sponsor the annual Elks National Hoop Shoot Free Throw Contest for boys and girls 8 to 13 taking place at 10 a.m. Dec. 8 at Sandrock Elementary School, 201 E. Ninth St. Registration starts at 9 a.m. and is free to participants. Copies of birth certificates are required to register. Each participant will shoot five practice throws and 25 regular free throws. A chili lunch will follow as well as awards at the Elks Lodge. The top shooters for each age group will receive trophies and be eligible for future competitions at the district, state and regional levels, at which multiple Craig athletes have attended in recent years. The final round is the nationals, with those who go all the way getting their name in the Naismith Memorial Basketball Hall of Fame in Springfield, Massachusetts. For more information, call 970-620-0874.